Mount Olympus, the home of the gods - your biggest desire. With your heroes by your side, you're ready for the decisive duel. 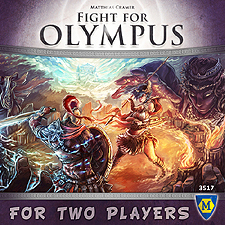 Can you defeat your opponent and conquer Mount Olympus? Sacrifice cards to put your heroes into play! Control the board to activate the area bonuses!